Everyone else opposed them - "Whites"
The Russian Civil War, began after the October/November Revolution. 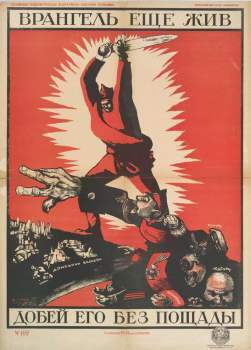 The war was between the Bolsheviks (Reds) and their political opponents (Whites). Although Whites won many small victories, the Reds won because they were more organized and central compared to the Whites.